Our eyes are one of the most overworked parts of our bodies, which is why deteriorating eyesight is a common ailment. Both old age and eyesight abuse can cause this deterioration due to train or improper blood flow to the retina. A number of medications and methods, however, can improve and protect your eyesight. Keep your blood pressure within an acceptable range. 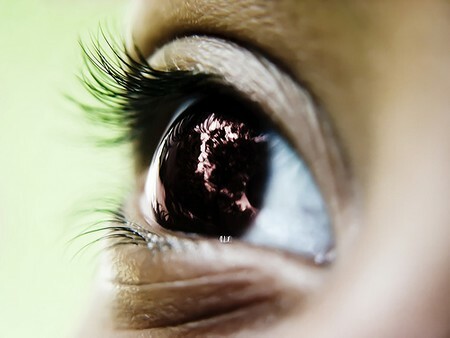 High blood pressure can damage the blood vessels, which can lead to blindness. To keep your blood pressure low, avoid eating salty, sugary, fatty, processed and fried foods. Exercising can also help maintain low blood pressure levels. Take 150 milligrams of vitamin C every day. A daily does of vitamin C can ward off cataracts. You can get your dose of vitamin C through a multivitamin or you take it separately if you do not have a sufficient level of vitamin C in your diet. Drink eight ounces of carrot juice everyday. Carrots contain beta-carotene, which is known for improving eyesight. If you can’t make carrot juice yourself, you can buy a ready-made one at the grocery store. Eat spinach. Green leafy vegetables contain lutein, an important antioxidant beneficial in improving eyesight. You can choose to eat it raw, as part of your salad or steamed. Enjoy dark chocolates. Dark chocolates have flavanoids that can maintain the blood vessels around the eyes in good condition. Choose dark chocolates with 60-70% of cacao. Increase Omega 3 intake. Fish and other seafood carry a lot of Omega 3 fatty acids. Eating dishes wtih tuna, sardines or salmon can contribute to improving your vision. If you do not like seafood and fish, take Omega 3 as a food supplement; you can buy it at drug stores. Avoid exposure to too much sunlight. Exposing your eyes to direct sunlight can cause permanent damage to your vision. Make it a point to wear eyeglasses or sunshades with UV protection when you go out on a sunny day. Take breaks from the computer. Our eyes were designed to function for wide panoramic viewing, so staring at one space (such as the monitor of a computer) can be straining. Take breaks from your computer work, and try to rest and close them in between. Exercise regularly. Exercising promotes healthy flow of blood throughout the body, including the blood vessels around the eyes. Exercise your eyes. Try looking at near objects, then look at far objects. Look to your left and right. Look up and down. This is a simple exercise you can do to improve blood flow within the vessels of the eyes.